Tasting Notes: Cashew, vanilla, pineapple, buttery mouthfeel. 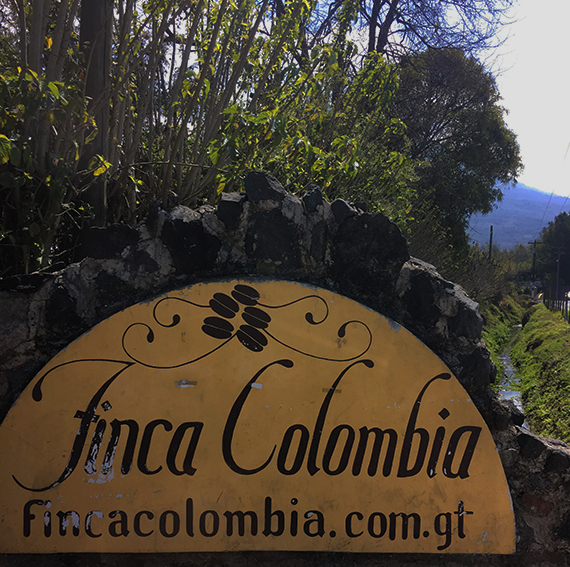 The city of La Antigua is located in one of the most desirable growing regions in Guatemala and it is here where Finca Colombia is located, embedded in the slopes of the Agua Volcano, 1500m above sea level. Originally founded by Oscar Asensio del Valle and now managed by René Méndez Asensio, René’s family has been managing Finca Colombia since 1925. Each generation has taken time perfecting their processing techniques. René takes great care to invoke sustainable and environmentally conscious practices on his farm, avoiding the use of chemicals and caring for the local flora and fauna. Honey processing is still somewhat of a rarity in Guatemala, so our green bean buyers and René have teamed up to try some experimental processing. The coffee cherries are harvested by hand, only when perfectly ripe, then floated to remove beans of odd densities and foreign material. They are then pulped and laid our to dry on raised beds, being turned regularly to ensure even drying and fermentation.